Dr. Steve R. Parker – Where Kentucky's Greatest Pro Football Players Live!!! Where Kentucky's Greatest Pro Football Players Live!!! Dr. Parker has been a professor, teacher, and/or coach for 37 years, including 10 years as the head football coach and athletics director at Bryan Station High School. Currently he is the Associate Dean for Undergraduate Advising and Student Success and Associate Professor in the College of Education’s Department of Kinesiology and Health Promotion at the University of Kentucky. He teaches Graduate Degree courses in Sport Leadership, specifically in Sport Law and Event Management. He is a former Board member of the Kentucky High School Athletic Association Board of Control. He also was Director of the National Youth Sports Program, an instructor in the National Cheerleading Coaches Conference, and Chair of the National Cheerleading Selection Committee. 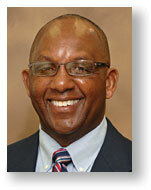 Currently he is a member of the Advisory Committee for the Salvation Army’s Boys and Girls Club. In 2012 he was Dermontti Dawson’s presenter for his induction into the Pro Football Hall of Fame. He has been the Board Chair of the Kentucky Pro Football Hall of Fame since 2009.